More than a retail space, visitors to #NYCFCHouse will have a chance to hear from those who’ve shaped the world’s biggest sport. Throughout the duration of the Pop-Up, #NYCFCHouse will host a mix of public and private events, including: soccer watch parties, rooftop parties, networking, and other fan events. 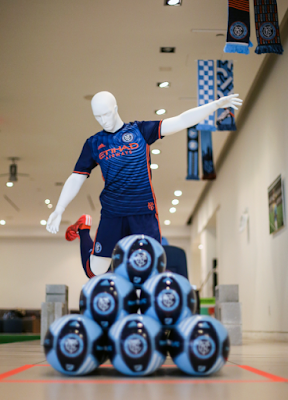 An underground mini-pitch will also provide a space for the youngest NYCFC fans to play and develop their skills. NYCFC House is open daily from 11am-6pm.